Congratulations you found the Easter Egg. This is my tiny little studio. 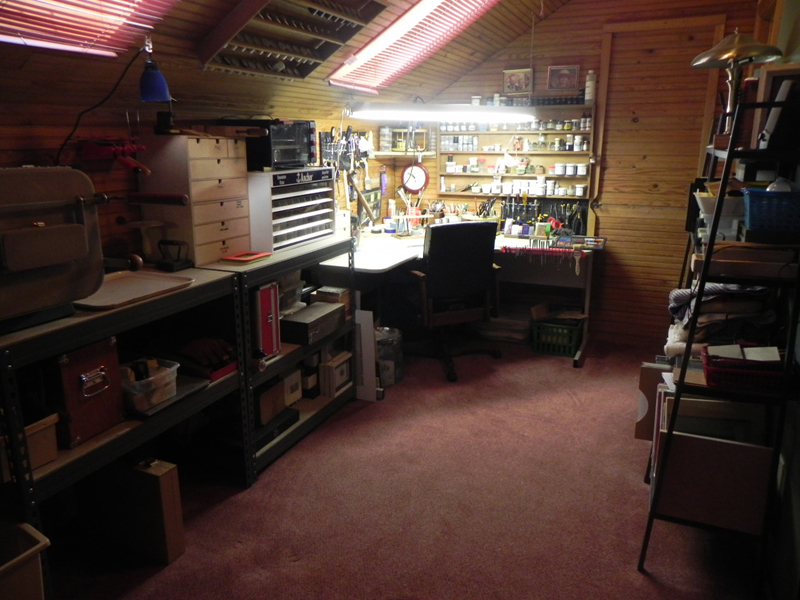 It has just been reworked to make more work space. The wooden shelves now live at my daughter's house and replaced them with metal work shelves which are deeper and have a work surface top. I moved my kiln to a more workable position which opened up the corner for a larger work table.